The ancients had curious beliefs about living things up to the time of Francis Bacon (1561-1626), when the scientific method started to develop. It's rather obvious that life springs from other life, but there was always a belief that life could spring from inorganic matter. In a Greek myth retold by Ovid in his Metamorphoses, after Zeus destroyed Earth by a flood (sounds familiar? ), Deucalion and Pyrrha were instructed by the Goddess Themis to repopulate the Earth by throwing the bones of their mother over their shoulder. Their mother was the Earth, her bones were stones, and the stones became people. As if to explain the 50:50 ratio of men and women in the world, Deucalion's stones became men, and Pyrrha's stones became women. The relationship between life and inanimate material was researched extensively in the seventeenth century. Jan Baptist van Helmont (1580–1644) did a famous experiment in which he grew a willow tree in a pot for five years and showed that the weight of the soil was essentially unchanged. His conclusion was that water was transformed into tree. This same van Helmont published a recipe for spontaneous generation of mice from husks of wheat wrapped in old clothing. The scientific method was not developed enough at the time for him to realize that his cloth-wrapped wheat should have been placed in a cage. In van Helmont's time, such spontaneous generation of life was considered to be frequent and common, and it was only by the time of Louis Pasteur that the "germ theory" developed and cellular processes were understood. At some point in the history of the Earth, self-replicating living matter appeared and took over the surface. That process where life originally forms from non-living matter is called abiogenesis. It's always been an interesting question, but it's gotten a lot more attention lately when applied universally; that is, to possible formation of life on other planets. That's a part of the recent discipline of astrobiology. About the time I was just getting interested in science, Stanley Miller, who was working towards his Ph.D. in Chemistry under Nobelist, Harold Urey, performed an interesting experiment at the University of Chicago. He placed ammonia, methane, hydrogen and water, constituents that were thought to be present in the reducing atmosphere of the early Earth, in a closed reaction vessel and subjected them to artificial lightning in the form of electrical discharges. The reaction produced amino acids, building blocks for living things. I remember reading about Miller's experiment when I was a child, since there were many articles about it in the popular press. Miller's experiment is so interesting that when a graduate student recently discovered sealed glass vials that contained samples from Miller's original experiment, there was a NASA-funded effort to do a reanalysis of the reaction products with much more sensitive modern equipment. As it turned out, an experiment that Miller didn't publish, one that simulated conditions near erupting volcanoes, was found by modern equipment to have produced twenty two amino acids. The evidence from this experiment is especially important, since our idea of Earth's early atmosphere has changed since Miller's time. Scientists now think that it contained mostly carbon dioxide, carbon monoxide, and nitrogen; but hydrogen and methane could have come from volcanic sources. Volcanic eruptions produce lightning, also, as well as carbonyl sulfide gas, which can link amino acids into peptides. As it turns out, creation of amino acids is so easy, it's been done in an asteroid that made a recent terrestrial impact. [3-5] One of the discoverers of this was Daniel P. Glavin of the Astrobiology Analytical Laboratory at NASA’s Goddard Space Flight Center. Glavin was a member of the team that did the reanalysis of Miller's samples. Glavin is a physicist and earth scientist who now specializes in extraction and analysis of extraterrestrial amino acids in meteorites. Meteorites, remnants of 2008 TC3, a small carbonaceous asteroid about 6-15 feet in dimension created when two asteroids collided in the past, impacted the Nubian Desert of northern Sudan on October 7, 2008. They were collected by Peter Jenniskens of NASA and the SETI Institute and Muawia Shaddad of the University of Khartoum. The asteroid remnants turned out to be the first Ureilite meteorite to be found in pristine condition. Ureilites are a rare type of meteorite thought to have formed in the solar nebula. The collision, which is supposed to have generated temperatures of more than a thousand degrees centigrade because of the presence of certain minerals that form only at such temperatures, should have destroyed all organic material that may have existed in either of the parent asteroids. Analysis of the meteorite fragments showed the presence of 19 different amino acids, some at a concentration of 149 parts per billion. The analysis team is certain that this is not terrestrial contamination, since the acids are in a racemic mixture. Terrestrial organisms produce just left-handed amino acids. It appears that the amino acids formed from gaseous elements as they cooled. Galvin speculates that grains of nickel or iron in the asteroid could have acted as a catalyst that aided amino acid formation as carbon monoxide, molecular hydrogen and ammonia gases cooled below about 500oC. Galvin is the principal author of a paper that describes this research in the October/November 2010 issue of Meteoritics and Planetary Science. Ovid, "Metamorphoses," Book I, ll. 381-384; English translation. David Bricker, Annie Reisewitz, Daniella Scalice, Nancy Neal-Jones and Bill Steigerwald, "Volcanoes May Have Provided Sparks and Chemistry for First Life," NASA Goddard Space Flight Center, October 16, 2008. Nancy Neal-Jones and Bill Steigerwald, "Building Blocks of Life Created in "Impossible" Place," Goddard Press Release No. 10-111, December 15, 2010. More than One Way to Make Amino Acids, Astrobio.net, December 17, 2010. 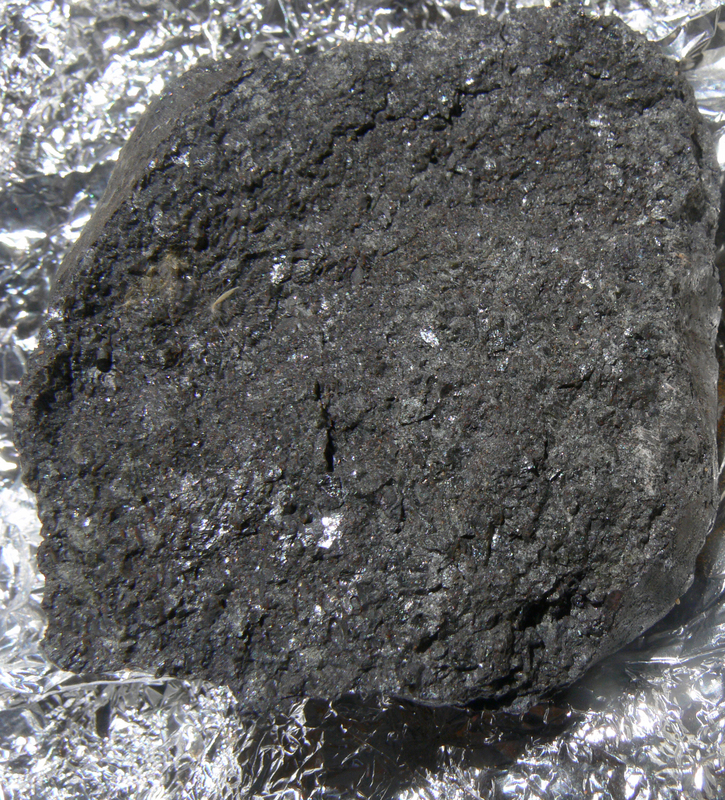 Ron Cowen, "Space rock surprise-Amino acids in meteorite may have unexpected origin," Science News, December 21, 2010. Roberta Kwok, "Astronomy: The rock that fell to Earth," Nature, vol.458, no. 7237 (March 26, 2009), pp. 401-403. Daniel P. Glavin, Andrew D. Aubrey, Michael P. Callahan, Jason P. Dworkin, Jamie E. Elsila, Eric T. Parker, Jeffrey L. Bada, Peter Jenniskens and Muawia H. Shaddad, "Extraterrestrial amino acids in the Almahata Sitta meteorite," Meteoritics & Planetary Science, vol. 45, no. 10-11 (October/November 2010), pp. 1695-1709. D.M. Gualtieri, "Trace Elements and the Panspermia Hypotheses," Icarus, vol. 30, no. 1 (January, 1977) pp. 234-238. Linked Keywords: Life; Francis Bacon; scientific method; inorganic_compound; Greek_mythology; Greek myth; Ovid; Metamorphoses; Zeus; Earth; Noah; Deucalion; Pyrrha; Themis; Jan Baptist van Helmont; willow tree; soil; water; spontaneous generation; mouse; mice; wheat; Louis Pasteur; germ theory; cell; cellular; abiogenesis; astrobiology; Stanley Miller; Doctor of Philosophy; Ph.D.; Chemistry; Nobel Prize; Harold Urey; University of Chicago; ammonia; methane; hydrogen; water; reducing atmosphere; lightning; electrical discharge; amino acid; Miller Experiment; Indiana University; NASA; volcano; carbon dioxide; carbon monoxide; nitrogen; carbonyl sulfide; peptide; asteroid; Daniel P. Glavin; Goddard Space Flight Center; physicist; earth scientist; meteorite; 2008 TC3; carbonaceous; Nubian Desert; Sudan; Peter Jenniskens; SETI Institute; University of Khartoum; Almahata Sitta; Ureilite meteorite; solar nebula; mineral; racemic mixture; levorotation; dextrorotation; nickel; iron; catalyst; Ovid, "Metamorphoses," Book I, ll. 381-384.